When the starting lights go out, I do not even feel the tension. I put first gear in, I press the accelerator pedal and the pressure holds me in the seat where I have to spend two hours. But now I have to watch my left side, where one of my opponents holds me like a pit bull. I’m sure he’ll try to overtake me and go later on the brakes. But the first turn is just one of the hundreds of miniswagons waiting for me. I have to concentrate fully for the whole time. 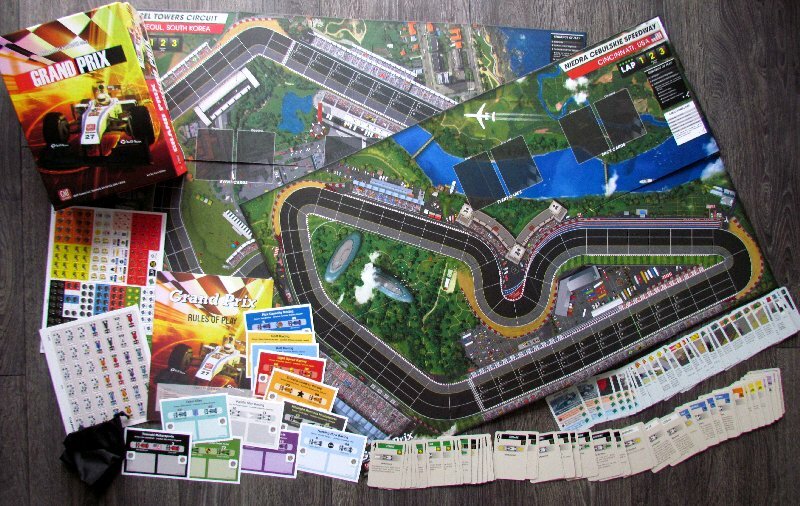 Atmosphere of Formula One races has intrigued Jeff and Carl Horger (Thunder Alley) so much, they made game called Grand Prix based on them. This is a hot novelty for year 2016 from stable of otherwise war and historical-focused GMT Games company. From time to time, they also publish games for other player type. This time with Kurt Miller’s illustrations. 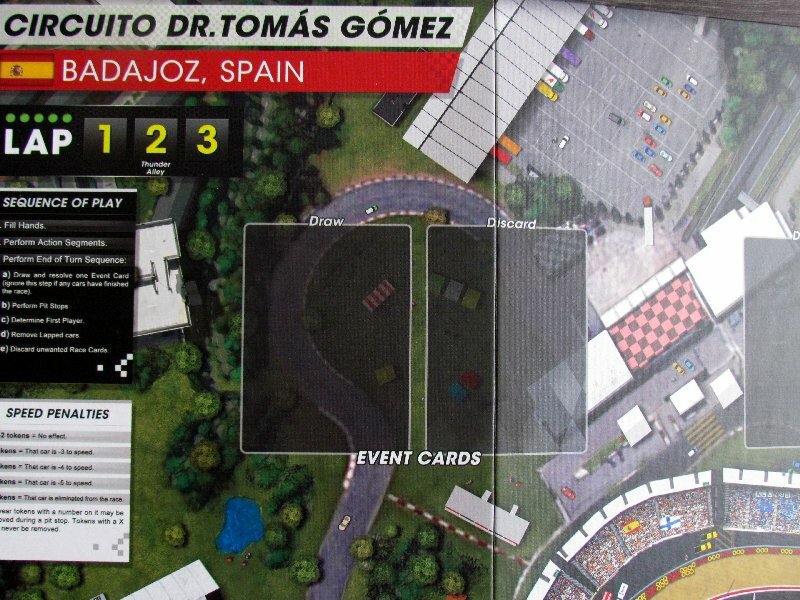 Very massive and heavy box filed with formula cars is under dominance of massive board. Each side provides one three-lane asphalt circuit (except curves, which are a bit slimmer), that are cut into a bunch of small rectangles. 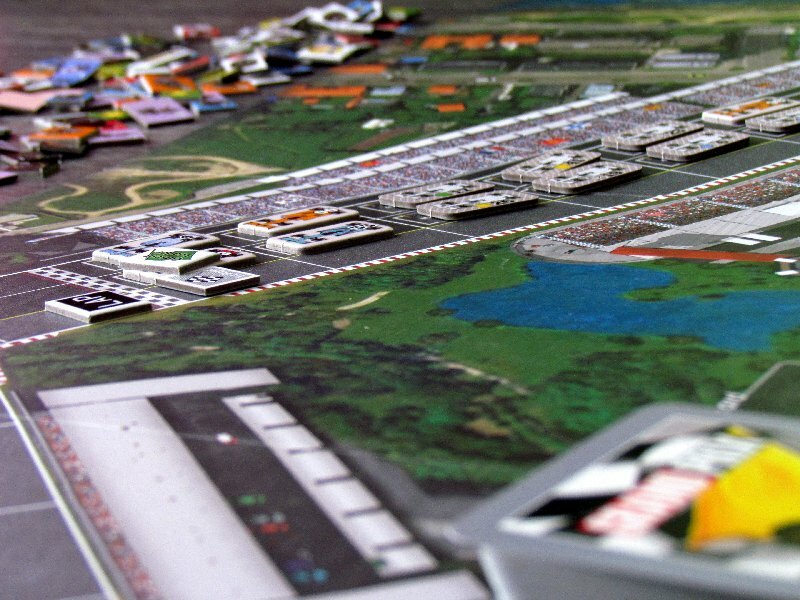 Therefore, players must always choose one course, where they will organize their race. 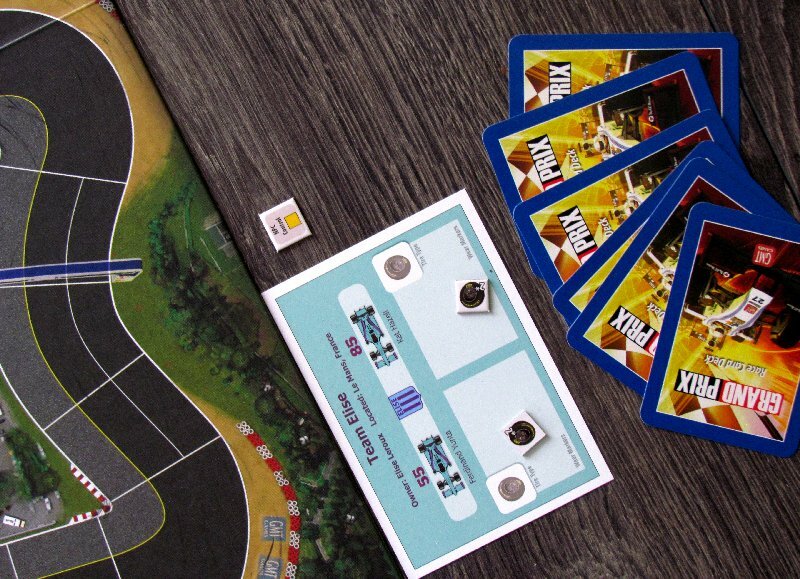 But while this is a joint option, then each of the opponents must make a personal one – each player chooses his team to race for, receives a board and also a pair of monoposts. 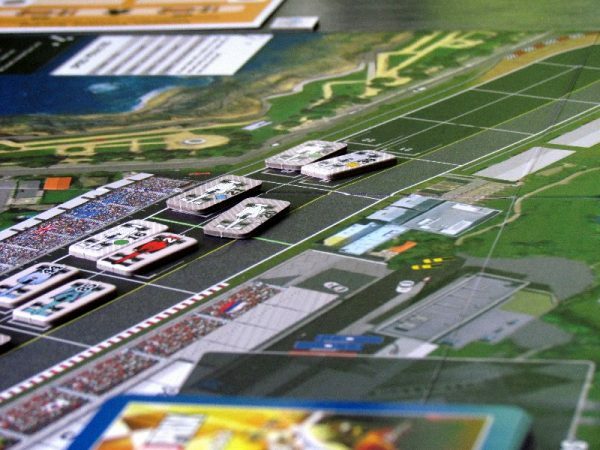 If there is less players than teams, a stack of artificial intelligence racing cars will hit the race as well. 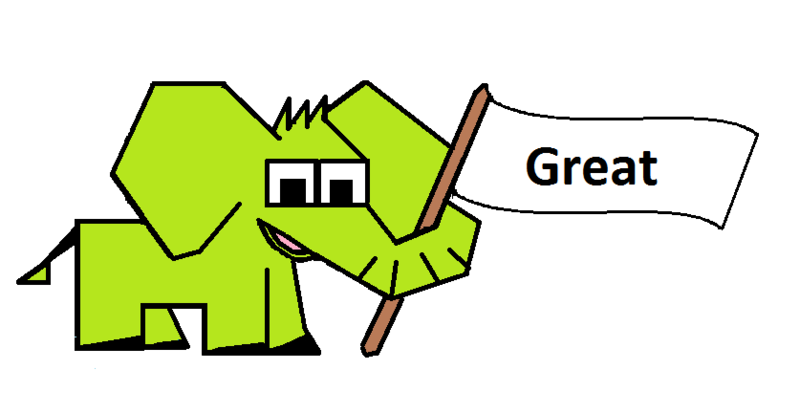 Special cars with NPC drivers (hatched with a colored symbol) are divided among players, so that everyone controls one color. From the shuffled rack of cards, everybody gets their own hand. The number depends on amount of players in the game (3-12). 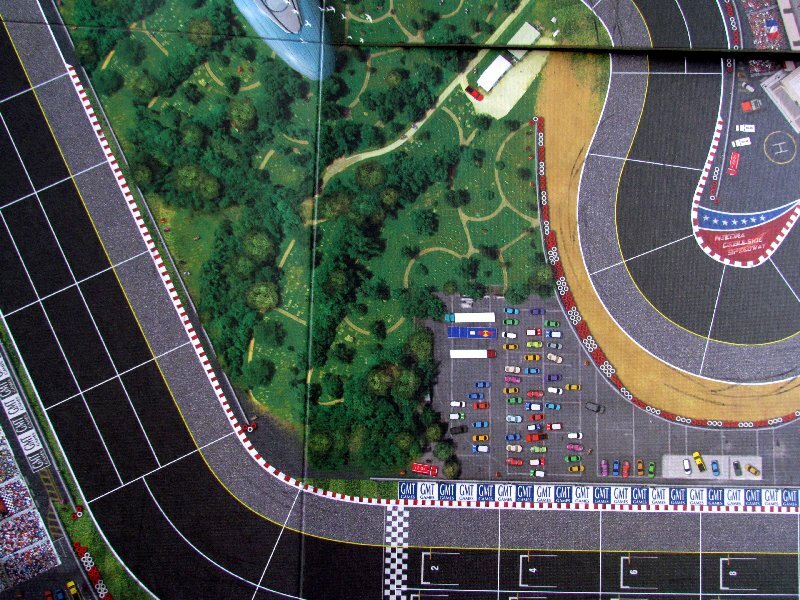 Players then place their cars. However, they will not do so just as they wish, but rather by drawing from a bag, where all the starting machines are mixed. Each chooses his tires secretly and places choice on the team board. 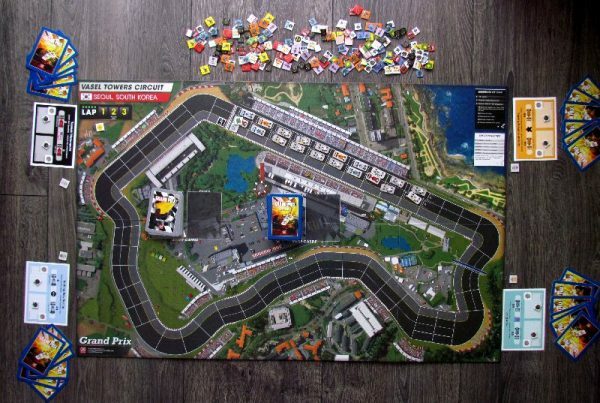 Game board also needs some setup, which marks the starting weather as sunny and dry and also places event and race cards on it. 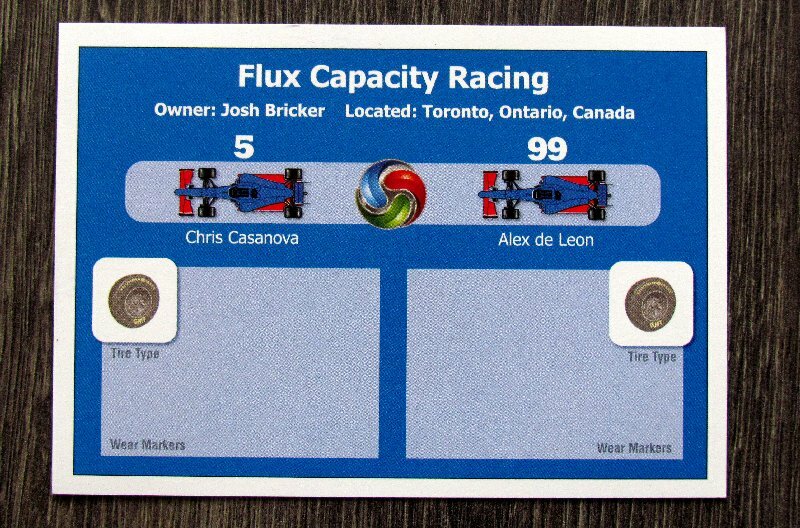 The round marker has its place on it as well and player, which is placed in pole position takes current leader of the competitor token. 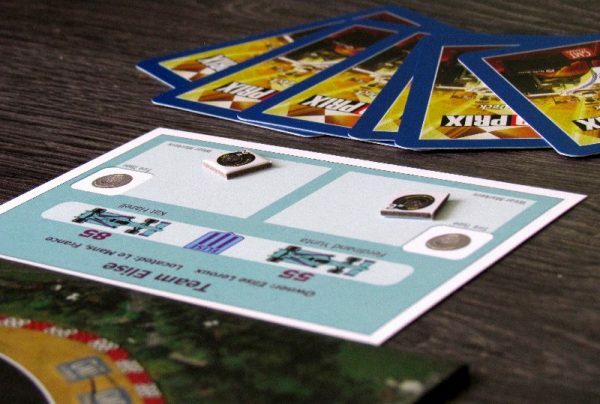 In the course of a game, players alternate in one move each time and always have to choose a card to play and assign it to one of their monoposts. Each such card contains number of boxes, that the car can move forward. There are two distinct digits for normal shifting and exiting boxes, but the cards also prescribes type of movement and eventually wear of the components. 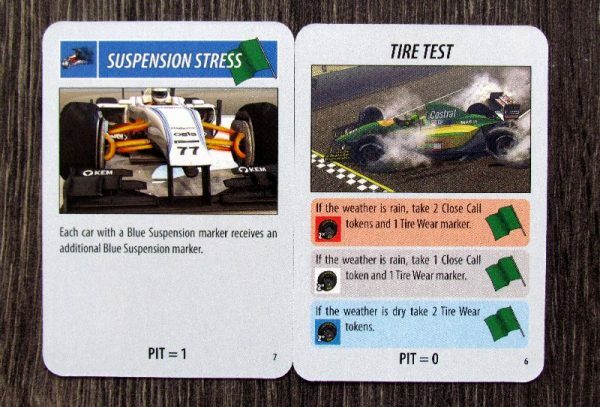 In addition to the movement, player has the choice of skipping the round or removing the damaged car (due to six or more wear tokens). But back to the movement, which is, of course, the center of every racing game and it’s also right in Grand Prix game. The car will usually move according to instructions of the card either straight ahead or sideways, the oblique shift is an exception. According to the played cards, there are four types of moves – individual, group, pursuit and leadership. The players divide their points and cards between their cars and others (NPC) they are in charge of. But the course is accompanied by a new concept and that is the so-called link. In some types of moves, when driving ahead, players also bring the cars directly in front and behind them. Players can change the lanes during the ride and break the connection or catch up with other machines. But even this does not need to apply always, because in the case of lead car movement, machines follow their leader always. For going through curves and other situations, racing machines must fit into narrow spaces, but they can choose any drive-out line, when leaving this place. Formula can push to the side to the place, that is occupied, thus moving the rival machine one lane to the side or forward if it is not possible. Such a squatting of the player does not cost anything extra, but gives him a token of close passage. And events, whose cards are revealed at the end of each round, often focus on the players, who have most these hazard tokens. Events at the end of the round can therefore focus on specific cars, add additional damage or pull out one of the possible colored flags. 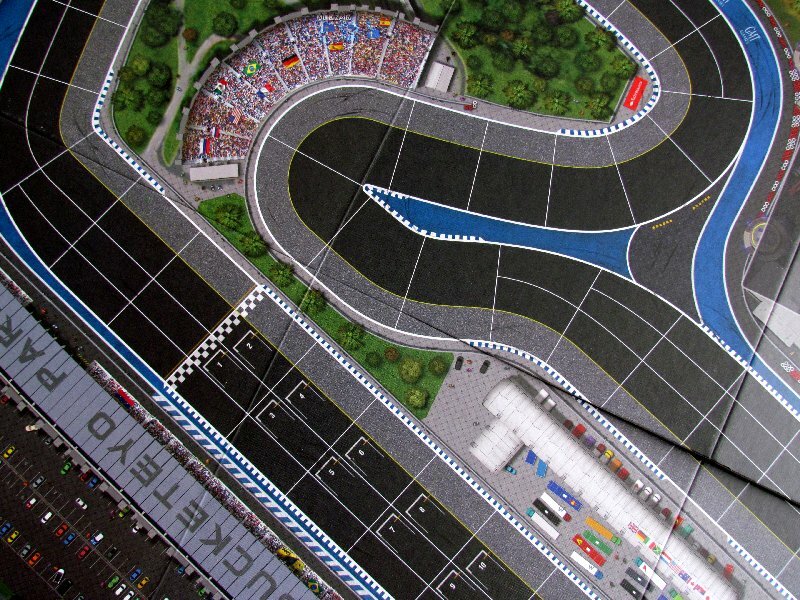 They then affect other racing on the track and can for example narrow the track to one line into a security zone. The wear and tear of the machines is gradually increasing from the cards played and is also very significant. Competitors may choose to go to the boxes to get rid of any number of such tokens from their car. 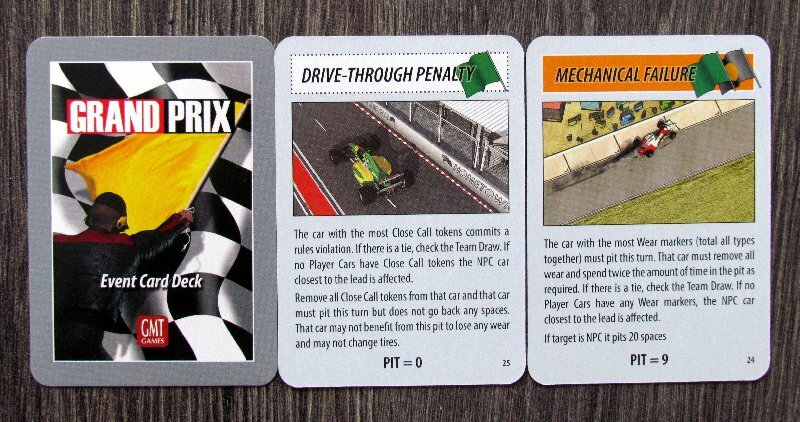 Player pays a high price for repair – each damage has its value, that his car has to move backwards in the pits. Damage, however, has a consequence on racing specials earlier, because they reduce number of movement points available. At the end of each round, when all the cars have been activated and shifted (denoted by turning of its token), players draw cards from the deck to the maximum number allowed. Race ends when the first machine crosses the finish line in the final round. 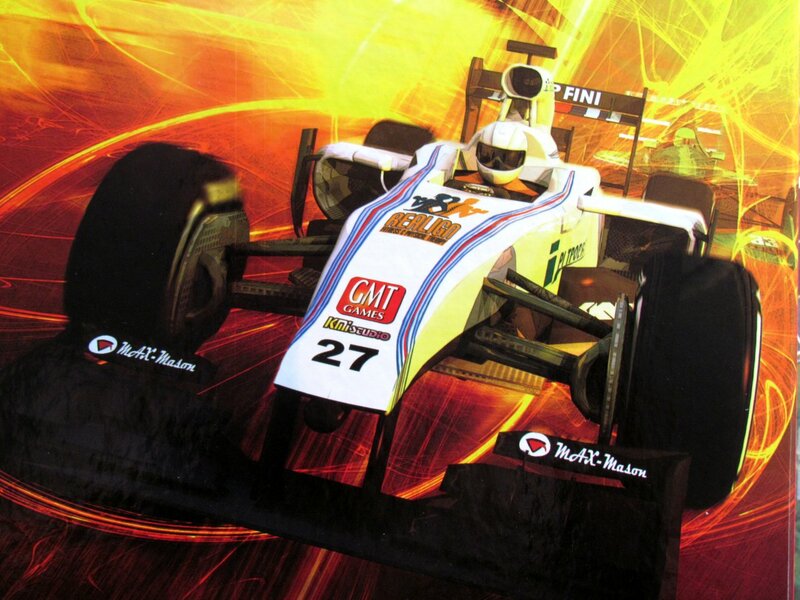 During the race, however, each machine must go once into the boxes and change its tires, otherwise it is disqualified at this moment. Players will determine the order and celebrate the winners or add up points, if they play a longer championship. 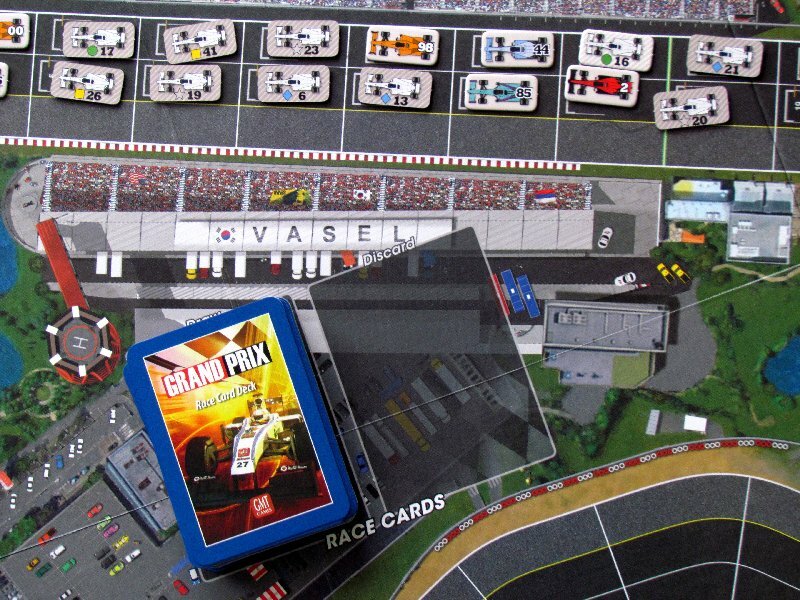 Grand Prix is a new racing game, that continues in footsteps of Thunder Alley. It uses very similar principles. The overall experience enriches some of the new features, and while racing still takes place on the circuits, it brings the struggle for first place know from the NASCAR world to the Formula One world. Unfortunately, we are not able to make a comparison because Thunder Alley was reviewed by Peter and our groups did not get to play it. But we can still convey the experience of the races in this box as if they were new. 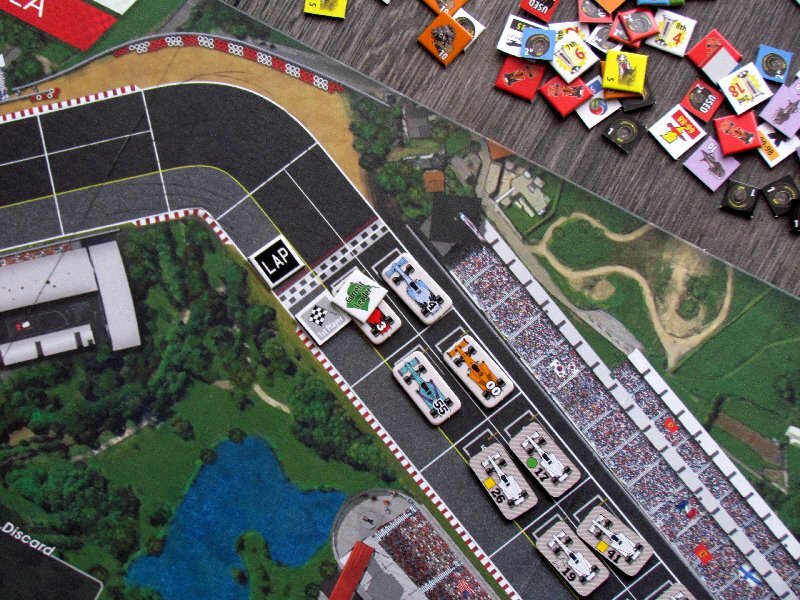 Players have no control over just one car but always race as a team. This has the effect of not having one, but rather of thinking about all your cars. You feel as if you were a manager who makes the decision for his riders, plans, but he is still with them on the track. When we wrote sentence about control, we had to consider it a little more. Chances of movement are greatly influenced by cards, that the player gets randomly in his hand. This is especially important given the fact, that there are several types of movement that are otherwise appropriate at some point. The player pulls the whole group forwards, including the cars in front and behind him or on the other hand only one (pushing the cars in front or pulling the formula in the pits). There are lot of cars on the map, and that’s why the duel is excellent in all counts. It is certainly worth mentioning that racing can be done in incredible eleven rivals. 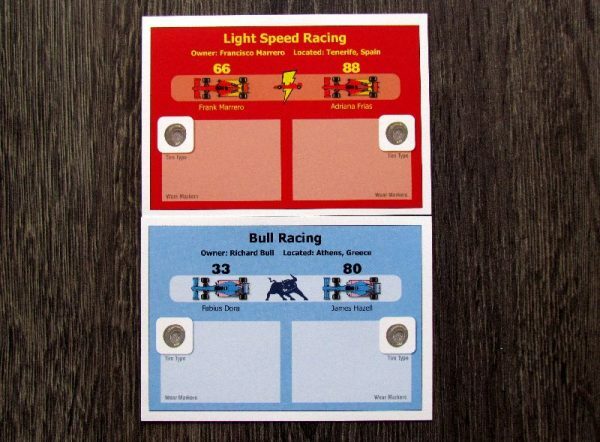 This has dramatically signed on the length of the game, but if you reserve for the whole evening for racing, you will get real formula experience all over the place. Players are trying to make tactical use of those cars, that do not belong to anyone, moving them tactically and pulling or pushing their own machines. 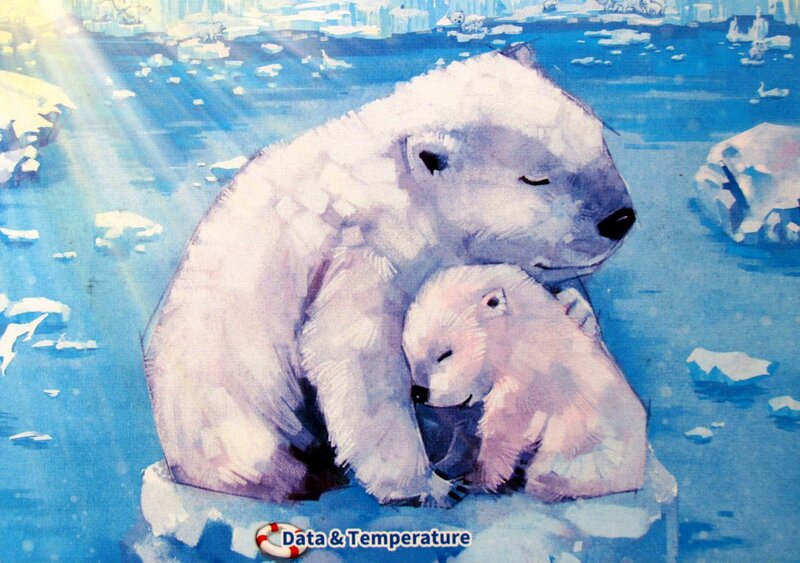 Therefore, it often makes sense to play a card in favor of the so-called NPC machines instead of your formula. So while we talked about luck in the last paragraph, here is a contra. 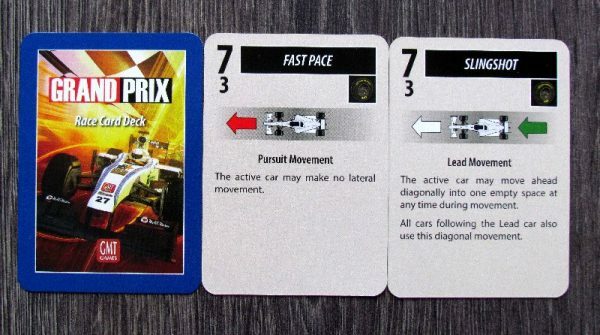 When player has cards in his hand, cars are really under his rule, and the racing itself is more of a thoughtful puzzle. This racing is a lot of abstract. However, other specific features also play a very important role. Weather, damage, events. Everything together creates a very interesting race mix, the most important element of which is variability. We must definitely comment on the game time, which is surprisingly high and easily reaches two hours in four or five opponents. The game is full of chip turning, which does not have to bother anyone because it fills a significant part of the game. The most interesting thing about the game is, however, a very unconventional movement. 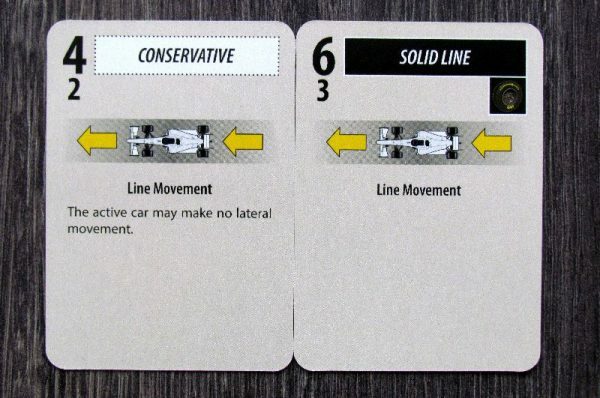 Cars move even beyond the player’s turn if they are well positioned. They make use of the perfect connection system that all race participants must use smartly. 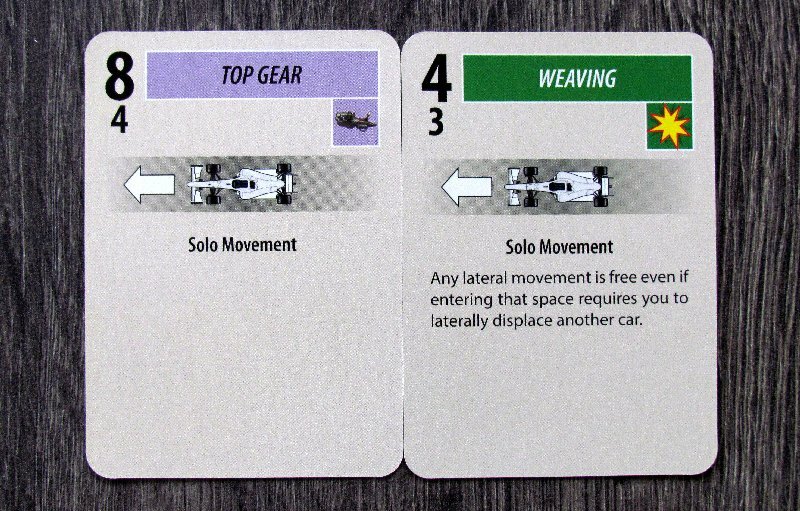 Some players, however, may perceive the fact that they control multiple cars as a disadvantage. If we have something to criticize, it’s definitely rotation of tokens to mark, which cars have moved. In one round, they are turned to the light side and the second to the dark, but you always have to remember which is active. And that’s a problem in the later stages of the race. 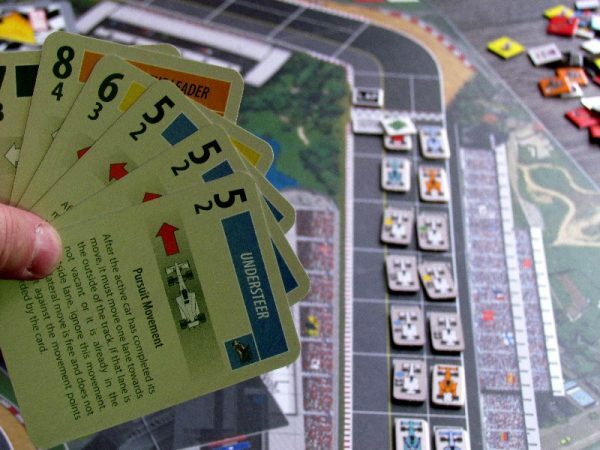 Grand Prix is a game that can be written a lot about. But the main thing has already been said in the previous paragraphs. 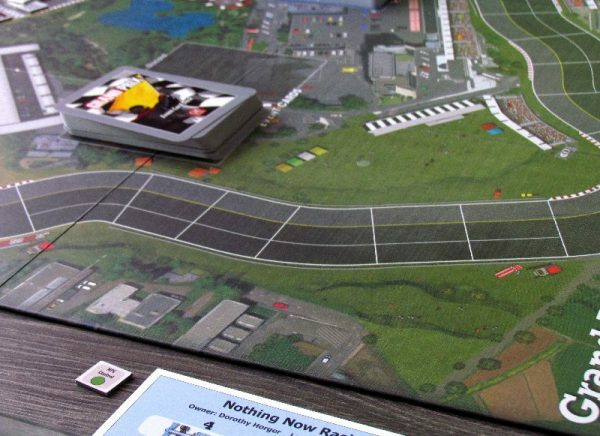 It is not easy to evaluate this game because it is racing but also tactical and surprisingly abstract. Grand Prix will not be races for everyone, but if you are a fan of more complex rules and you like racing, then give it a try. Grand Prix is an interesting racing game that is surprisingly abstract for its theme. 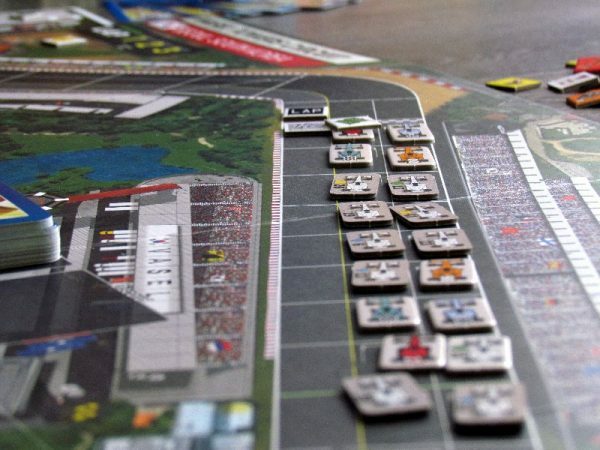 However, racing still has a solid atmosphere, which holds even despite the otherwise slightly longer game time. Even though some cars are not in control of the player, but because they can use it for their benefit, it does not make such a bad impression. The game contains great ideas and, at the same time, it manages to handle the F1 car racing. Grand Prix offers four maps, on which race lovers will be able to race if, of course, they are willing to think about the victory hunt.